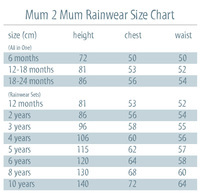 "Excellent rainwear for good Southern conditions"
Great kit and Mighty Apes normal fantastic service. Looking forward to seeing my wee girl splashing in the puddles. 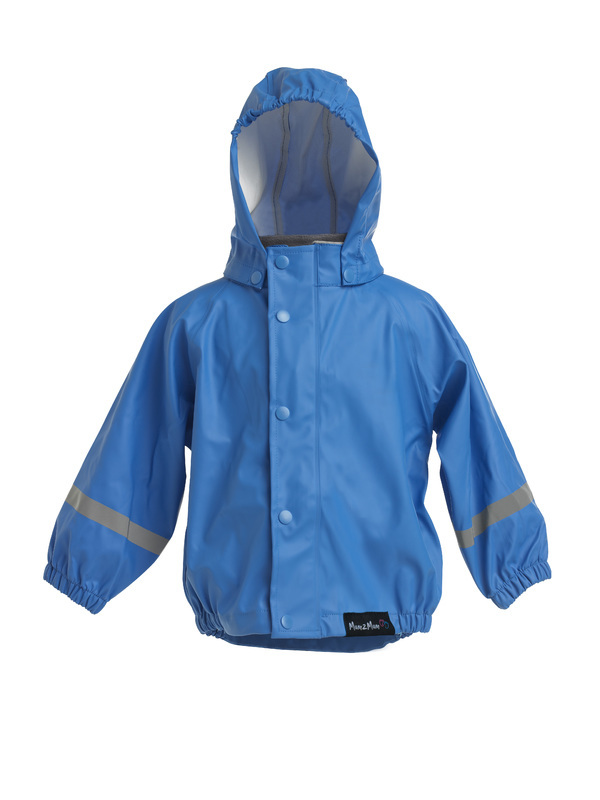 Versatile waterproof rain wear – because rain doesn’t stop play! 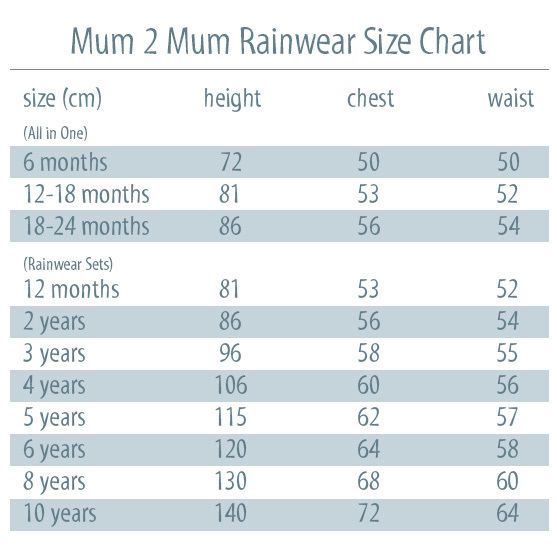 Mum 2 Mum rain wear is made with the latest in fabric technology, it’s soft and comfortable with a 100% waterproof, breathable PU coating, that will keep your child dry and warm at play.. 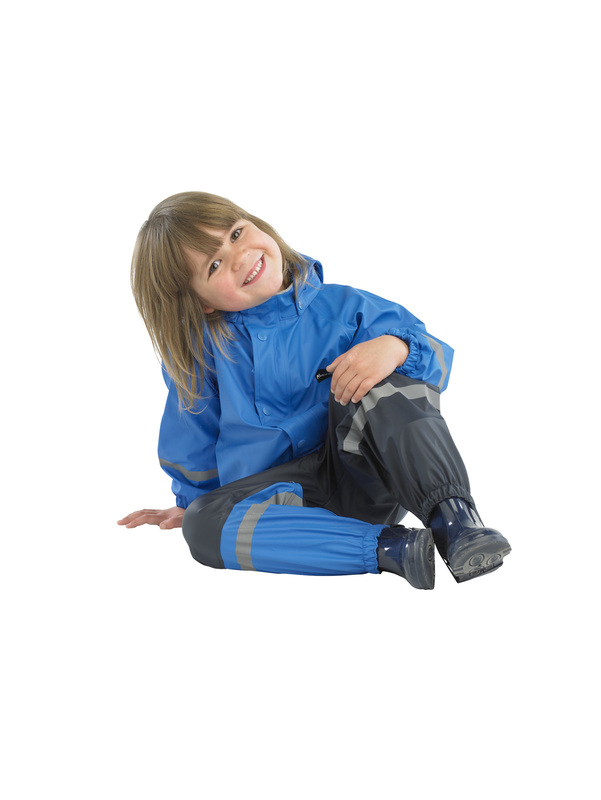 The jacket has a fleece-lined collar for added comfort. The removable hood is cleverly designed to fit perfectly around the child's head!